If you’re still looking for gift inspiration, our newest blog post suggests 7 eco-friendly, non-toy gifts for children. We’ve also added some bundles and gift packs to the online shop, so treat a friend or stock up for the summer. 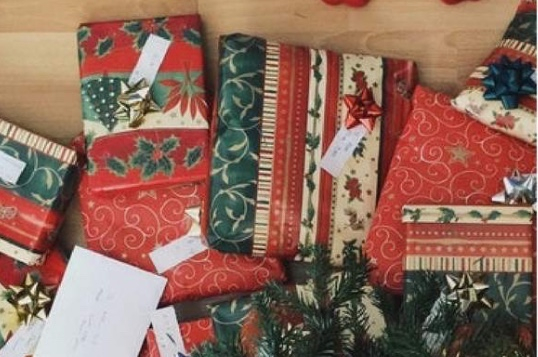 Our carbon-neutral delivery partner Sendle advises final orders need to be made by Thursday 14th December for them to be delivered in time, so start shopping now if you need them by Christmas! And don’t forget – as a VIP you get free shipping with your order every time you use your XXXX discount code with your order, along with any other VIP bonus offer we have running. This month you receive a free Organic Jetset 70g along with your order when you use the code. Studies show that the fewer toys children have, the more creatively they play. But what do you give them as Christmas presents if not toys? At Christmas we follow the rhyme ‘something to read, something to wear, something to play with, something to share’. But what to choose for the last two? Children can be harsh critics when it comes to receiving gifts. And it becomes even more complicated when you’re attempting to give a great eco-friendly Christmas gift. Learn about seven eco-friendly alternatives to toys for gifts on the blog.